Whether you are taking this course as a part of a biology, counseling, history, political science, sociology, criminal justice, or any other area of study, this book is going to be of interest and benefit to you. 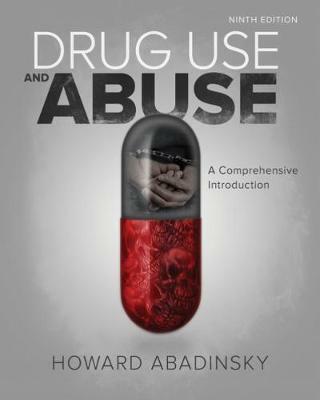 DRUG USE AND ABUSE: A COMPREHENSIVE INTRODUCTION, 9th Edition, is packed with the latest data and research spanning all aspects of drug and alcohol use and misuse. It's easy to read, and includes a glossary to help you comprehend potentially confusing terminology. Each chapter begins with objectives to focus your reading, and ends with an extensive summary to simplify study and review. Margin notes highlight critical issues, and poignant images complement the text discussions.